Offer your birds fresh water with the Gardman Glazed Bird Bath. This bath is made of stoneware for a natural effect, and the basin is finished with a beautiful cobalt blue glaze. The 2" deep basin is the perfect depth for smaller birds to bathe, while larger birds can perch on the rim and have a drink. 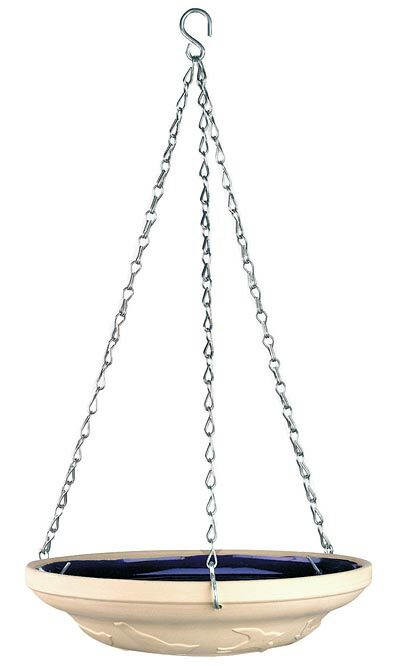 Attach the included 17.25" long, galvanized chain to hang. Give your birds fresh water to bath in with the Gardman Glazed Bird Bath.